Safiya Plans to be a Doctor: Can You Help Make it Possible? 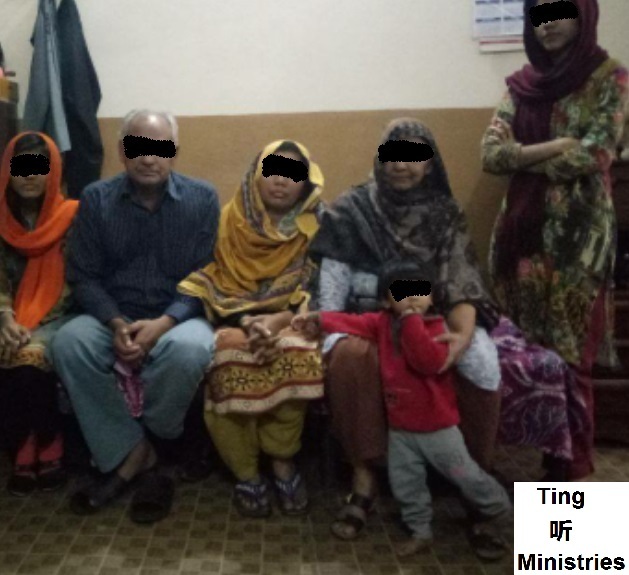 Dear Friends – We have an update on our TM Pakistani family! We heard from our partners that Safiya, the oldest daughter of the TM family waiting for a sponsor, wants to go to university to become a doctor! This is not a light decision on her part or on ours; she has shown the determination to stay with the program and succeed.Before her father’s death, Safiya was a top student in her school, receiving all A’s in her classes. After our partners’ first visit where she told us she wanted to go to university, she went to different schools and gathered information about possible programs. To study to be a doctor, Safiya will need to complete a four-year course. The cost is $1,700/year or a total of ONLY $6,800 to pay her university studies entirely! Friends, can we come together to support Safiya? Here in the States, $1,700 only pays for a meal plan, much less an entire tuition! Let us be the answers to her prayers for the chance to continue her education! Update: Sponsors Needed After Pakistani Man’s Death Leaves Family in Dire Need! Thank you to all who helped this family! We were able to send someone with food and supplies. While visiting, the two daughters, “Aisha” and “Safia” (not real names) said they would like to attend school. Ting Ministries would like to raise support for so they may continue their education. If you want to help Aisha and Safia go to school, you may read more on Becoming a Sponsor, or give a one-time gift. A full or partial sponsorship will cover monthly attendance fees and basic supplies for the daughters. **UPDATE: Aisha needs only 340 more dollars to provide for one year of university! Sponsorships are an essential part of Ting Ministries’ work that continues to grow! Not only are sponsors meeting basic needs, they are a source of encouragement for our TM families, who are blessed to know others care about them.Thank you! Dear friends, we have an urgent, heartbeaking plea to share with you today. There is a family in Pakistan. Their father, the brother of a Christian pastor, was unable to provide for his family due to the rising persecution of Christians in-country. Being Christian, their family continues to be extremely ostracized, unable to find jobs, or purchase basic necessities. Overwhelmed at being unable to take care of his family, he committed suicide, just a few days ago. Now, his widow and four older children are left alone, with no means of caring for themselves. The story has been in Pakistan newspapers (pictured above). If you know a church would like to support the monthly feeding program for the orphanage, so the children can receive healthy and supplemental meals, please contact us at tingministries@comcast.net. Also, Pastor Mark took another trip to Marawi, where he was met by thirty orphaned children. Those in charge of the relief center asked him: Can you please take them? Pastor Mark’s heart was broken. Friends, Pastor Mark would love to take these children back with him to Zamboanga so they could go to school and experience the love of a family. However, before this would be possible – we need a place for them to stay. We need your help to build a children’s home, a Ting House, for children like these. Pastor Mark and his family would welcome them, but until we have an additional home in Zamboanga, these children have nowhere to go. Please pray for the Lord to provide the funds needed so we can carry out the mission of James 1:27: To care for the orphans and widows in their distress and to keep oneself from being polluted by the world. 100 percent of your donation will go to the Ting House, with nothing taken out for administrative purposes. All our work depends on the help of our generous supporters. Please consider how you can help today! Thank you and God bless.